The story of the Buddha and his awakening is more than an account of the birth of a religious tradition: it is also one of the great archetypal tales of the spiritual quest, colorful in its many details and thrilling in its depiction of the world transformed by an enlightened human being. 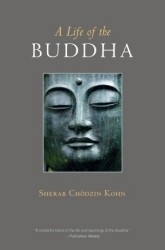 Sherab Chödzin Kohn’s retelling of the Buddha’s life is both readable and historically informed, and presents the Buddha’s teachings along with the events of his past lives to final nirvana. Library Journal called it “a splendid combination of biography and instruction.” This new edition of the book previously entitled The Awakened One has been updated to include a short history of Buddhism as well as a selection of resources for further reading.